The annual Manaiakalani Wananga was held today at Pt. England School for all of the principals and school leaders from the schools across Manaiakalani and the Outreach Clusters. I was asked to present, along with a panel of teachers representing the Manaiakalani CoL, what we have been doing this year as we conduct our Collaborative CoL Inquiry into our own teaching practice. 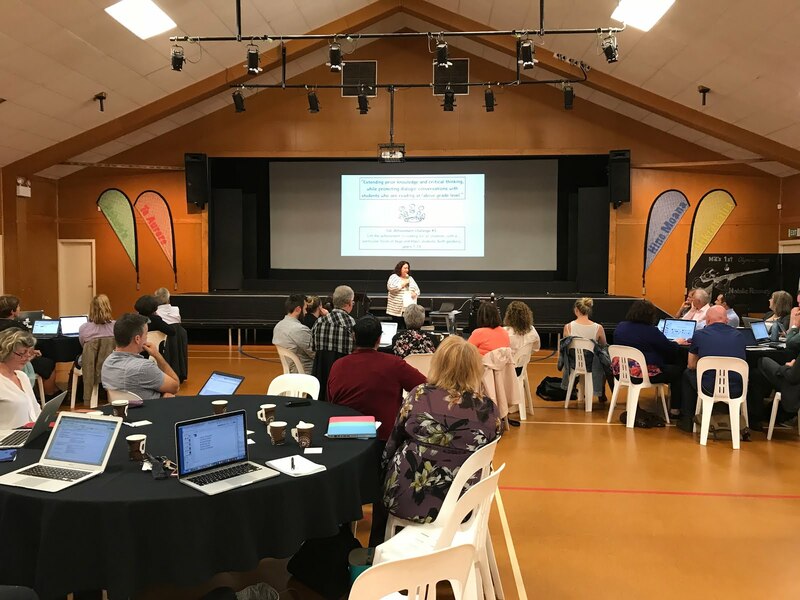 Each of the presenters represented one of the Manaiakalani CoL Achievement Standards that our CoL teachers and Manaiakalani schools are Inquiring into. Introducing myself to the Wananga participants. I am so thankful for the opportunity to share my Inquiry and I feel that every time I present, I feel less nervous and a little bit more confident sharing in front of a large group. This year, I have discovered that this Inquiry process quickly makes something you considered out of reach a year ago your daily normal. You become so invested in the Inquiry process and what you see as successful that you forget that everyone else has not walked every step of the way with you. When given the opportunity to present, I thoroughly enjoy the verbal (and non-verbal) response you receive from those in attendance as you share your small steps, trials and triumphs, and of course it's always fun to receive one or two "Cheehoo's" in our Pasifika community.